The weather forecasts for this week in New York City indicate that temperatures will be dropping into the thirties on the Fahrenheit scale during the overnight hours for most of the week. For those of us well north of the equator the idea that it is December and winter is coming and bringing with it snow, ice, and cold can’t be avoided anymore. What’s a birder to do during the dark days of winter when it feels like spring will never come again? Well, we here at 10,000 Birds don’t want you to despair: there is a ton of stuff a birder can do in the depths of winter. We have here a list of five for you to try. 1. 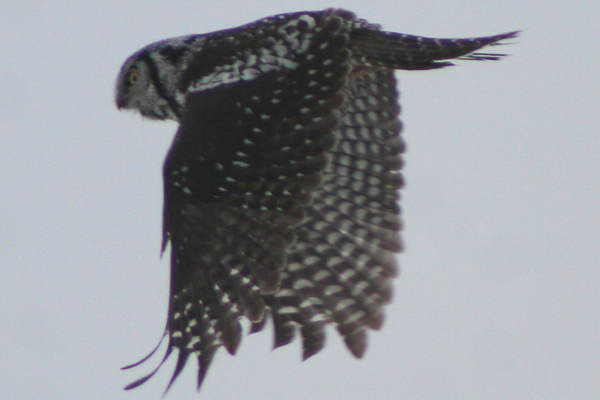 Participate in a Christmas Bird Count! Though this only applies to those in the western hemisphere there is no better way to bird in the middle of winter than with other local birders in a tradition that goes back over 100 years. In brief, the Christmas Bird Count is made up of birders, a fifteen-mile-diameter circle, and birds. Said birders spend a full day counting said birds in said circle and then gather to compile the count and brag about what was found. One or more of us at 10,000 Birds participate in at least one CBC every year and have a great time doing it. This year’s Christmas Bird Count period is from 14 December until 5 January. Visit the Audubon Society to find a count circle near you and get involved. 2. Maintain and watch bird feeders! Why go out chasing after birds in the cold and snow when you can convince the birds to come to you? Bird feeding works almost everywhere and sometimes a real rarity will show up at a feeder. Even if nothing rare comes to your house you still get the benefit of seeing wild birds like chickadees, woodpeckers, and finches closer than you normally would be able to see them. 3. Chase after rare birds that only visit in winter! Who can resist a bird as cool as a Snowy Owl? Or as fun to watch as a flock of crossbills? Often, birds that visit only in winter find a reliable food source and can be counted on to appear at the same spot for days, weeks, or even months on end. 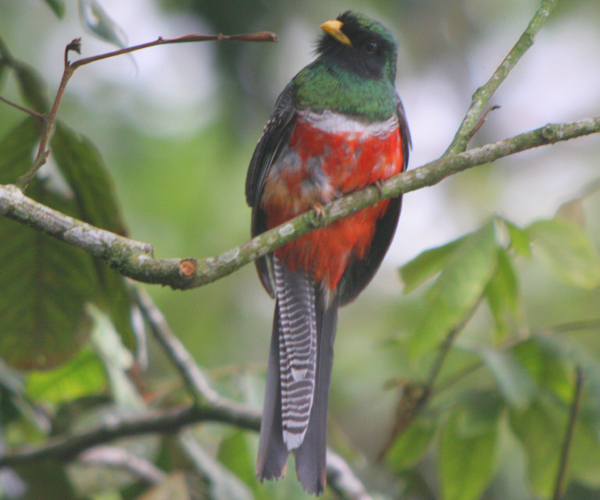 Get plugged into your local bird club and listserv and you are sure to hear of rare birds showing up in your area. Twitching a rarity is a great way to spend a winter’s afternoon and an even better way to get a youngster interested in the outdoors in general and birds in particular. 4. Go to New England for the Super Bowl of Birding! The spot where Massachusetts and New Hampshire meet is great for birds and this full day competition to find the most and rarest birds is a wonderful way to spend time with a team of like-minded birders. I joined some other bird bloggers this past January, saw some great birds, had a blast, and plan to return in January of 2010. Do you think you can take on the Bloggerhead Kingbirds? Well, come on up to the cold white north and see if you can! 5. Go to the tropics! Nothing beats cold and snow and ice like a visit to a place that does not have any! Make like Mike did last winter and go to Guatemala or like he did this November and go to Jamaica. Or you could do like Charlie did and go to Panama or like I did and go to Honduras. The possibilities are virtually endless as are the number of birds you can see. Whatever your strategy is for surviving the winter make sure it includes birds, and, if you have another way to get through the harshest season please share it in the comments. Those of you from the southern hemisphere or the tropics please feel free to share what you are doing too, if only to make the rest of us jealous! You forgot to mention that people can always visit the southern Baltic Sea and watch rafts of Smew, Smew, Smew. Thanks for the great tips. I’m new to the northern winters. When living in Florida and Texas winter was the highlight of the birding year. I’m headed back in January for a month but am looking forward to getting a shot at seeing a Snowy Owl in the meantime! @Corey: yes, I could, but the problem is that the 1,000s of breeding-plumaged Common and Red-breasted Mergansers make spotting the 100s of Smew very difficult even when flushed by one of the dozend or so White-tailed Eagles that are usually in attendance of such large flocks of waterfowl. Trip to Lark Plains, Arusha on 30/11/09 Very productive after the rain. Great news re critically endangered Beesley’s Lark (we will be posting info soon). Both Snake-eagles were seen; a Lesser Spotted Eagle & an adult Steppe; but no Tawny – could it be poisoning again? (5 spp Aquila in two days here in Arusha). Thanks for the sharing. I really love birds. I want to know everything about brids. I am going to discuss about this site with my friends.